The Royal Canal Amenity Group (RCAG), a voluntary organisation was formed in 1974 out of a sub committee set up by the Inlands Waterway Association of Ireland (IWAI) with the aim of saving the canal from complete destruction and to restore and highlight its potential as a public amenity. The group was incorporated as Company limited by guarantee in 1979. 1960-70: After the Royal Canal was closed by Córas Iompair Éireann (CIE) in 1961, there ensued a period when any possible future for the waterway seemed unlikely. Moran’s Bridge in Mullingar was replaced with a low level structure. The construction of other low level road crossings with culverts, in County Longford; the building of a dam west of Mullingar which prevented water flowing westward from the summit level. 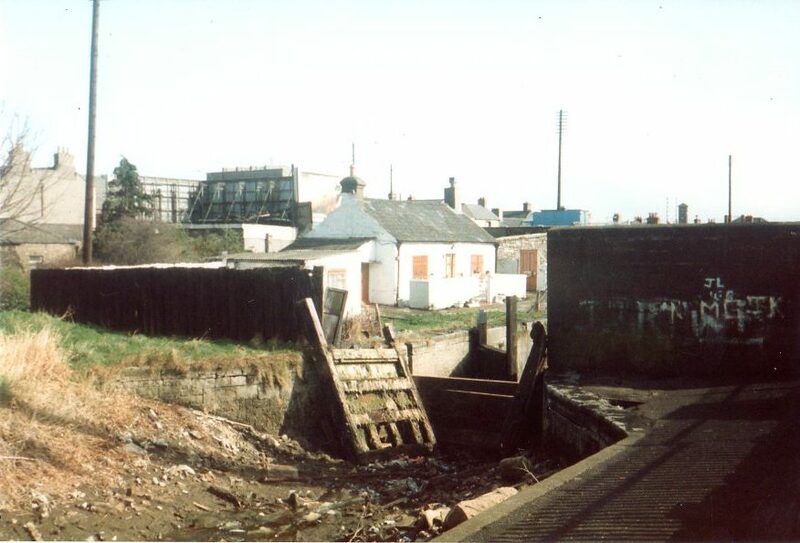 The lock gates, chambers and harbours also fell into complete disrepair. To cap it all there was a proposal put forward to turn the Dublin City section into a roadway,­ all of which would indicate that the Royal Canal was indeed doomed. 1970-80: In the early 1970’s, a member of the Inland Waterways Association of Ireland (IWAI), Dr. Ian Bath believed the Royal Canal could be saved. He convinced the Dublin branch of the association to form a sub-committee which would look at how various sections of the canal might be restored. With a view to discussing the possibilities of preserving and restoring the local stretches of the Royal Canal, Dr Bath organised a public meeting in Coolmine School. The meeting was attended by IWAI members, residents associations, local schools and other interested bodies. At the meeting an action group was formed and so, on the 4th April 1974 the Royal Canal Amenity Group came to life. Following the formation of the Group, volunteer work parties began to clean up and clear sections of the canal towpaths in the Castleknock and Blanchardstown areas of Dublin. Also, following an agreement between the RCAG and CIE the breast or top gate of the 12th Lock was repaired. This resulted in the 12 kilometre stretch between Blanchardstown and Leixlip being re-watered. News of the formation of the RCAG spread westward and very soon came their first enquiry, from Abbeyshrule Development Association, seeking information about the canal restoration. This group later joined forces with Ballinacargy to become the first group outside Dublin to join the RCAG. 1980-90: In 1980, RCAG leased premises from Guinness Ireland in Watling St. Dublin. ANCO (the forerunner of FÁS), provided the work force, under the supervision of Charlie Bowden. Following a high profiled fund-raising campaign spearheaded by the Group’s chairman Mr Eddie Slane, the Lock Gate factory went into production. This resulted in the manufacture of 17 sets of gates for the Royal Canal, and 6 sets for the Naas branch of the Grand Canal. 1982 saw the setting up of a branch in Kilcock, where work soon started on the restoration of the harbour and its approaches. Because of its proximity to the N4 the former Dublin to Sligo Road, this section was to become an eye-opener to the public as to what could be achieved by volunteers. Around the same time branches were also formed in Enfield, Maynooth, Thomastown/Killucan, Longwood and Leixlip. Branch volunteers cleared and reopened towpaths organised the dredging of the canal and rebuilt or repaired stonework in the harbours. Meanwhile RCAG and Dublin Branch IWAI set about making new breast gates for the 13th Lock at Leixlip. Lucan Vocational School became the workshop. Timber was supplied free of charge by Mallinsons of Swords. This was to be the first of a very ambitious plan of lock gate restoration. In 1986 ownership of the Canal was transferred from CIE to the Office of Public Works (OPW) opening a new phase in the restoration work, which also saw the RCAG and OPW working in close co-operation as the restoration work gathering momentum. 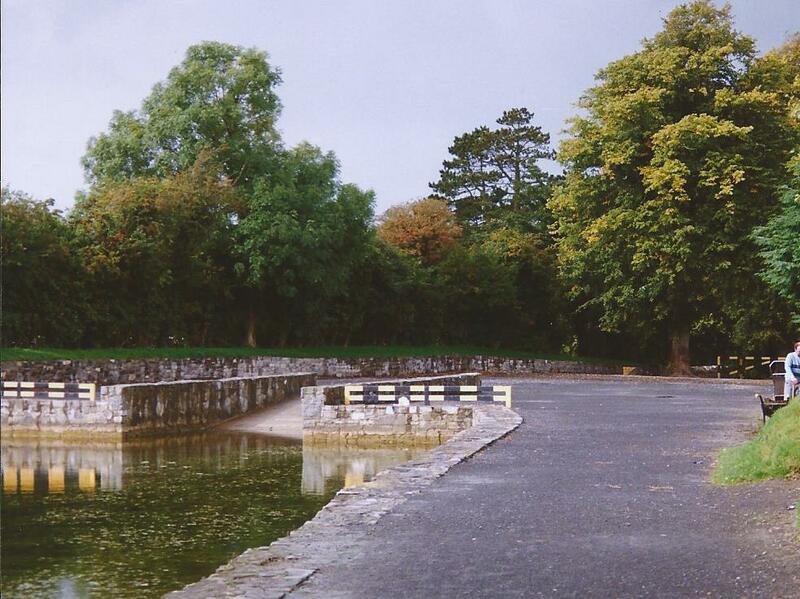 1990-2000: Dredging of the Canal bed continued between Blanchardstown and Mullingar. Lock Gate installations increased substantially, and by 1990 74 kilometres of canal, from the 12 lock in Blanchardstown to Mullingar had been re-opened to navigation. Also in 1990 the Maynooth branch officially reopened its refurbished harbour, complete with a new heavy duty slipway. To celebrate the occasion, RCAG organised a week-long rally from the 12th Lock, Blanchardstown to Mullingar. The focus of attention then turned to the western section. New branches of the RCAG came on stream in Ballymahon, Keenagh/Foigha, Longford, Mullingar, Hill of Down, Killashee and Richmond Harbour. Work on replacing Moran’s Bridge in Mullingar commenced in 1997 and was completed in 1999, thus reopening navigation to Abbeyshrule. Capital projects by the RCAG branches also continued during this period which were financed mainly through local fundraising. However, in some cases grants for specific works were provided by County Councils. In addition, RCAG branches coordinated ANCO and FÁS (Industrial Training Authority) schemes which in turn provided labour and material grants. 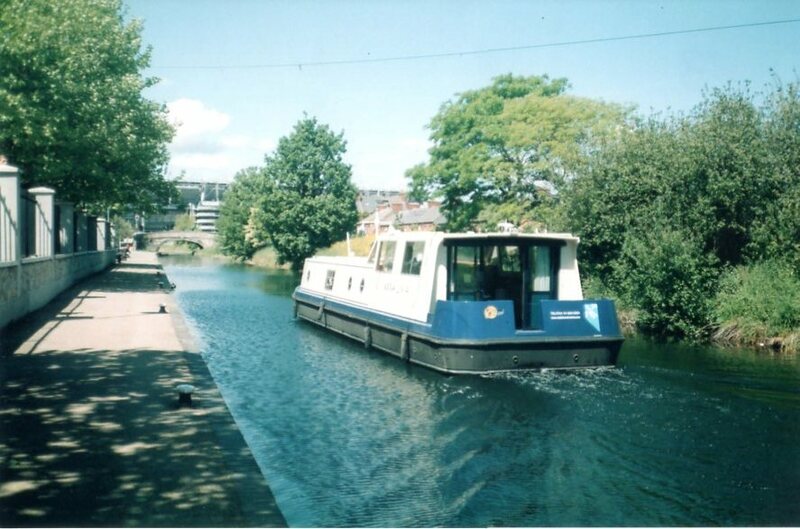 2000-10: In 2000 the canal came under the control of Waterways Ireland, a new cross-border body charged with administering Ireland’s inland navigations. 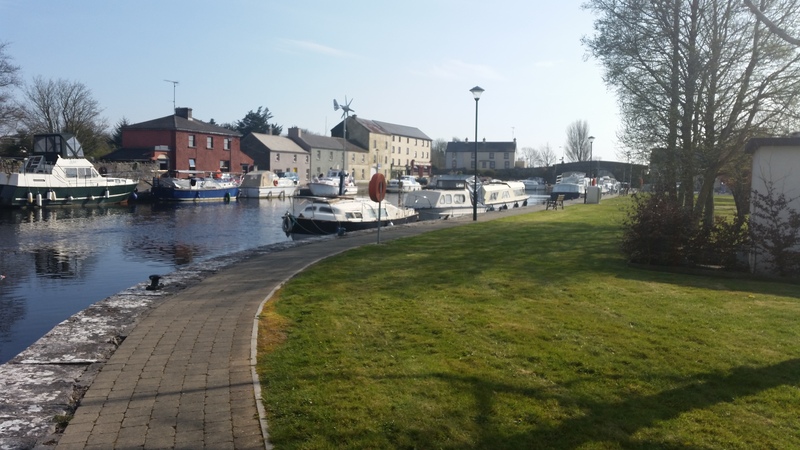 The restoration program undertaken by Waterways Ireland moved to replacing lock gates, removal and rebuilding of culvert road bridges and re-watering the various levels west of Mullingar. . The next ten years saw Waterways Ireland continue the restoration programme of lock gate installations and dredging. They also removed culverts at Pake Bridge, Abbeyshrule, Ballymahon, Begnagh, Ballinamore, and refurbished Richmond Harbour in Clondra. 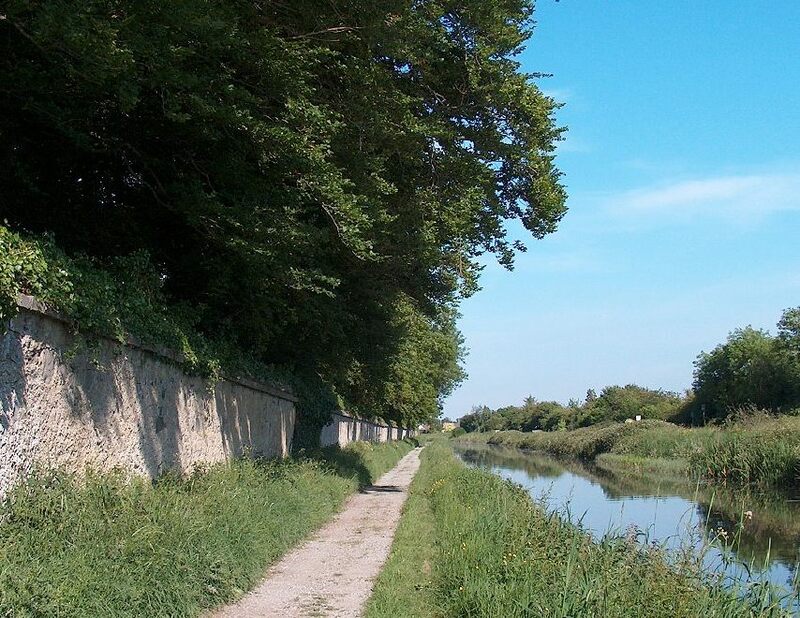 During the same period RCAG branches continued to undertake projects in towns and villages along the canal, utilising FÁS schemes, thereby assisting Waterways Ireland’s plans for the restoration, in addition to enhancing the amenity value of the Royal Canal. The restoration of the canal was completed and officially re-opened in September 2010. 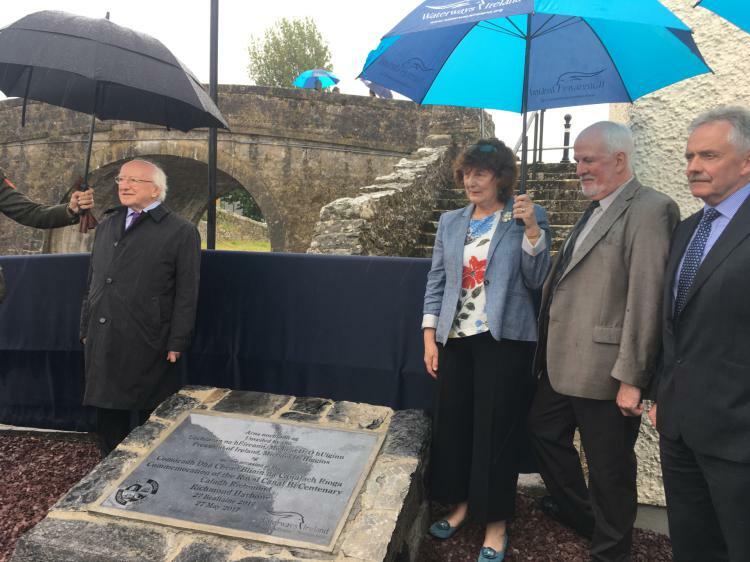 The re-opening of the canal also restores links to all of Ireland’s waterway systems, both north and south, an aspiration that was part of the Good Friday Agreement. There is no doubt that the Royal Canal would not have been saved from destruction without the vision of Dr. Ian Bath, the enthusiasm of the RCAG Chairman Eddie Slane, the commitment, dedication and hard work of RCAG members, but above all the unique co-operation that developed between the management and staff of the OPW/Waterways Ireland and the Royal Canal Amenity Groups over the course of the project. 2010: Following the Canals reopening the RCAG moved its focus to promoting and developing the educational, recreational, and heritage potential of the 150 kilometre linear parkway that is the Royal Canal. The Missing Link: Following on from the groups very successful initial campaign to save the canal from closure and our subsequent involvement, over many years in its restoration we continue our efforts to have the remaining un-restored Longford Branch Line (The Missing Link) reinstated by 2030 (200 years after it was first opened in 1830). In addition to boating traffic the canal has tremendous potential for amenity purposes. It represents a liner parkway that facilitates leisure pursuits which includes walking, fishing and various forms of boating. Waterways Ireland has initiated a major programme to transform the canal into a top class fishing amenity. Partly because of its comparative neglect for so many years it supports a wide range of wild flowers, insects and birds. Indeed several areas along the canal and its towpath are of great interest to nature lovers. Information taken from Noel Spaine’s A Brief History of the Royal Canal Amenity Group.